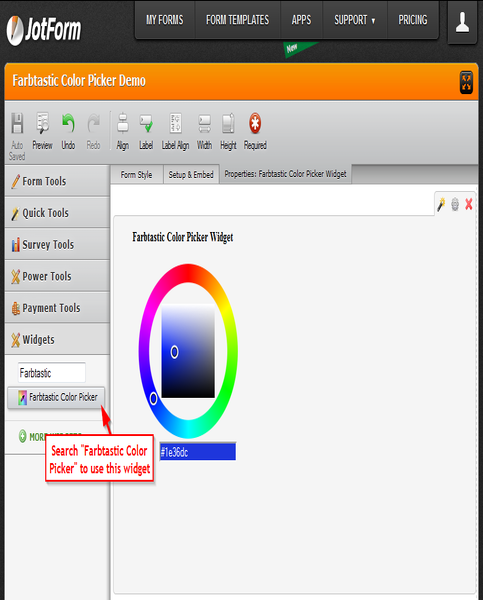 This is an easy to use color picker that helps the user along as they select the color value they would like on your form. Its imperative to help users along using pickers; especially when color values are needed while filling your form. 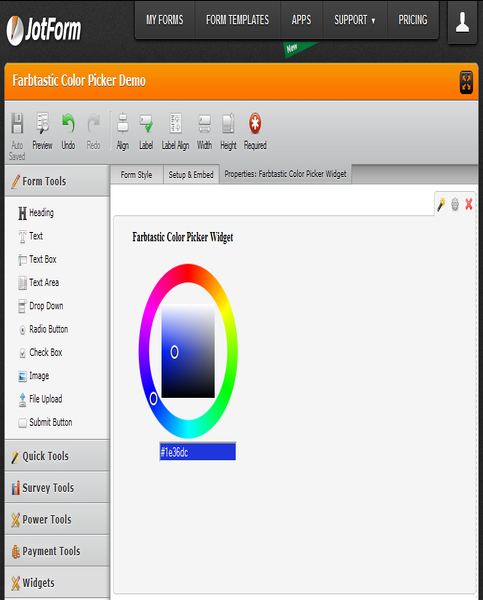 The Farbtastic color picker is interactive, and requires little to no configuration so as to work on your form.